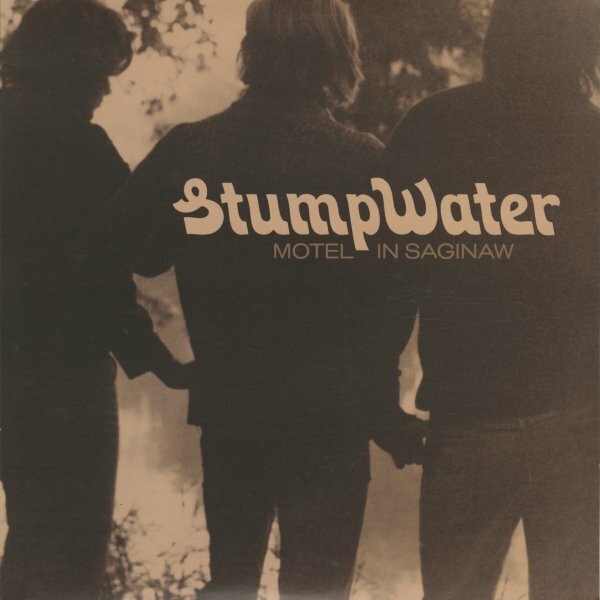 Aurora, Illinois may never have given the world that much – but now the city can rightfully claim its place in the rock and roll cosmos – as the home of this fantastic early 70s album from Stump Water! The group have a sound that's a lot sweeter than their name – and are a trio, with a wonderfully harmonic sound – mixing acoustic guitars with their voices, at a level that's maybe somewhere in the territory of America or Simon & Garfunkel – but a bit darker, and more personal too! These guys are clearly of the generation inspired by the changes in the post-CSNY universe – modes that allowed a certain sort of singer or songwriter to really move past folk standards, and really open up the best blue-eyed inspirations in their music. Titles include "Motel In Saginaw", "Frozen Man", "Cockcrow", "Growing Time", "The Hermit", "Blind Darkness", "Now That He's Passed Away", and "Romantic Courtship Turns Into Boring Marriage Blues". © 1996-2019, Dusty Groove, Inc.